There is a whole new genre out there that many people of my age do not fully understand, but, truth be told I seem to gravitate to it a lot! Today it is termed as "STEAMPUNK" what it truly is is anyone's interpretation of it as I seem to understand the term. But to me it is part recycling, part past, part present and sci-fi future, and meshing it into time and space. As a young person I was introduced to Steampunk through Jules Gabriel Verne in his novel Twenty Thousand Leagues Under The Sea, where in conventional design was changed up and met with Science Fiction and somehow in my youthful imagination became entirely dreamy possible. 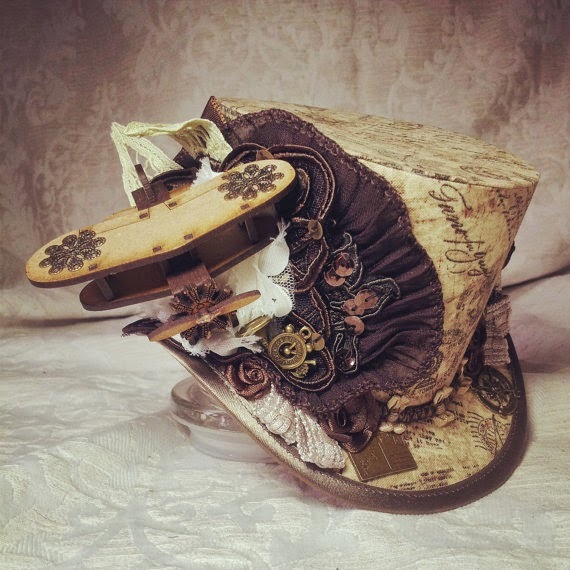 Having said all of this, I find many items of Steampunk on Etsy and have fallen in love with it, while still not fully understanding the entire genre, I like many know what I like! 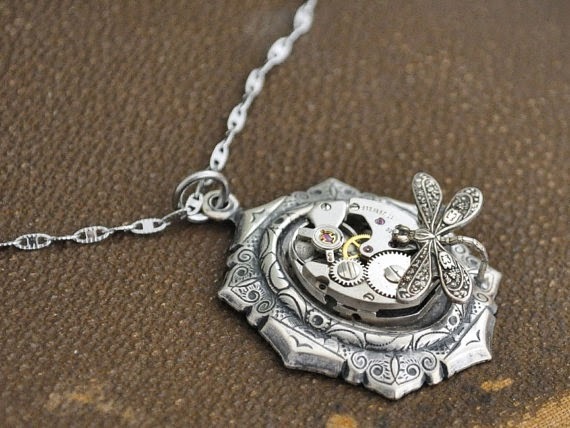 Take this intriguing and very complicated piece of jewelry called "Time Travel" from a shop called junesnight. A timepiece necklace (not a working watch/timepiece) which shows the ingenuity of industrial watch movement meeting traditional art! I find it stunning as well as intriguing. I so love dragonflies and this dainty dragonfly resting on the necklace to my way of looking at it lends to being dainty as well as being industrial in its appearance it is very feminine! Then I discovered this very interesting head dress! It's so intriguing I just have to share it with you. There is a whole sub-culture out there on the street that like Goth, Steampunk stands as a culture all of its own as well! 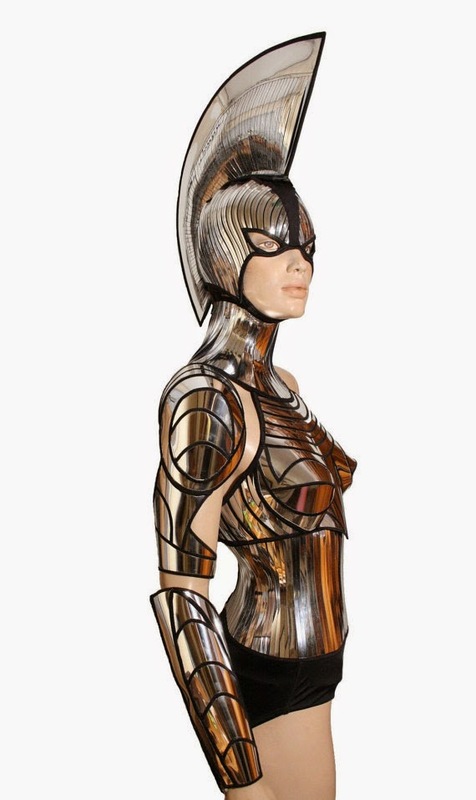 Take a look at the workmanship in this one piece alone the manipulation of the materials is stunning! These head dress stand alone pieces are handmade and made to order, very interesting and it can be had through the divamp shop! And this Cyborg set really even if your not into steam punk as an everyday for yourself, this would take center stage at a Halloween Ball! 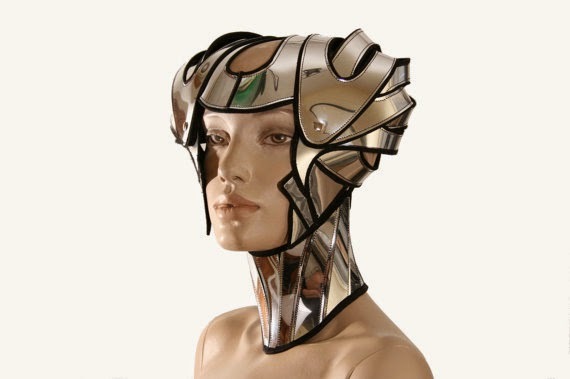 Now this hat from the OohLaLaBoudoir, conjures up The Adventures of Baron Munchausen and all those gorgeous costumes which took a totally futuristic view. Because there does not seem to be a clear cut definition of what Steampunk really is and where it skirts fashionable replicas coupled with industrialized concepts it makes the entire concept to me absolutely fantastic. Art takes many forms as everyone knows and Steampunk has it various forms as well! 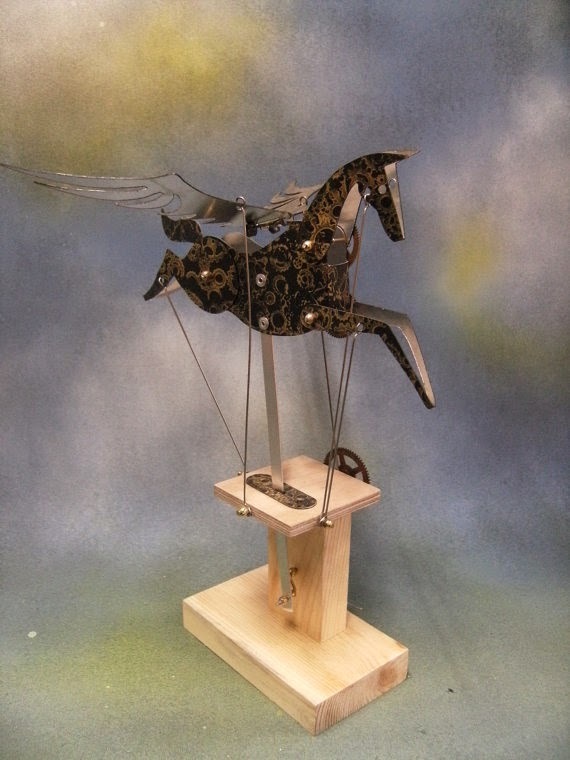 Take this Automata, Pegasus from Newsteadautomata, is a moving piece of art statuary. A beautiful piece, all and of its own and because it moves therefore, it is becomes unique making it not only a future contender as a collectible, but a wonderful conversation starter. 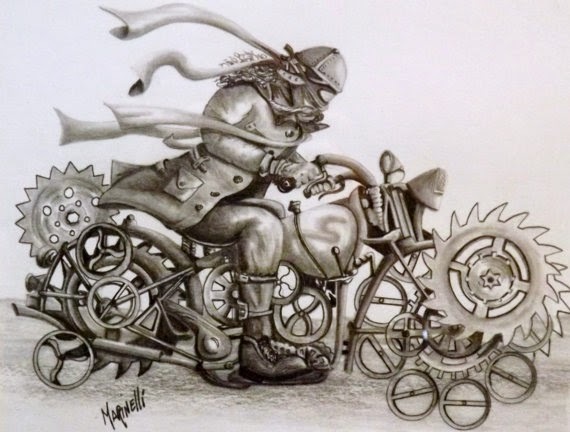 While Steampunk might not be for everyone, which it isn't, I find it so intriguing and precise in its meshing together of the past, the present as well as the future, concepts we do not all think of in our daily routines. Nonetheless, it is of interest to many and is growing by leaps and bounds out there in every day land. Steampunk certainly can hold its own when it comes to ingenuity.